Circa 1890's, Los Angeles city planners designed unique stair systems that provided pedestrian access from the main streets to hillside homes. A kind of heretic fantasy film. An expressionistic, surrealistic portrait of a Latin American woman. Not a personal portrait so much as an evocation of the consciousness of women in rural parts of such countries as Spain, Greece and Mexico; women who wear black from the age 15 and spend their entire lives giving birth, preparing food and tending to household and farm responsibilities. Mujer de milfuegos depicts in poetic, almost abstract terms, their daily repetitive tasks as a form of obsessive ritual. The film uses dramatic action to express the thoughts and feelings of a woman living within this culture. As she becomes transformed, her isolation and desire, conveyed in symbolic activities, endows her with a universal quality. Through experiences of ecstasy and madness we are shown different aspects of the human personality. The final sequence presents her awareness of another level of knowledge. Yellow Aria is a symptomatic view of the lover at work, constantly on the edge of savoring the moments when passion and neurosis overlap. By layering different forms of expression, the film allows language and action to intertwine to demystify love and passion. Rather than a sentimental account, Yellow Aria is a humorous and ironic series of vignettes, which form confessional outbursts of the symptoms of losing the loved object of desire. Originally inspired by Roland Barthes' A Lover's Discourse, this work puts forward a decidedly female perspective, and simultaneously undercuts and sympathizes with these "out of sync" outbursts and re-situates them. Baroque pillars fill the frame to create a background for the film. The women orators, statuesque, protrude and extend from this structure while the silent man becomes embedded in the facade. This elevated architecture posits the paradox of Yellow Aria: what is ugly about love is also monumental. No5 Reversal opens with a close up sequence of two women in animated conversation, followed by an aural page/station structure. The film combines elements of horizontal and vertical montage in the soundtrack, using white noise, and radio static as a fragmentation device. The visually striking black and white photography weaves lyrical, pastoral nature with the de- and re- construction of civilization. 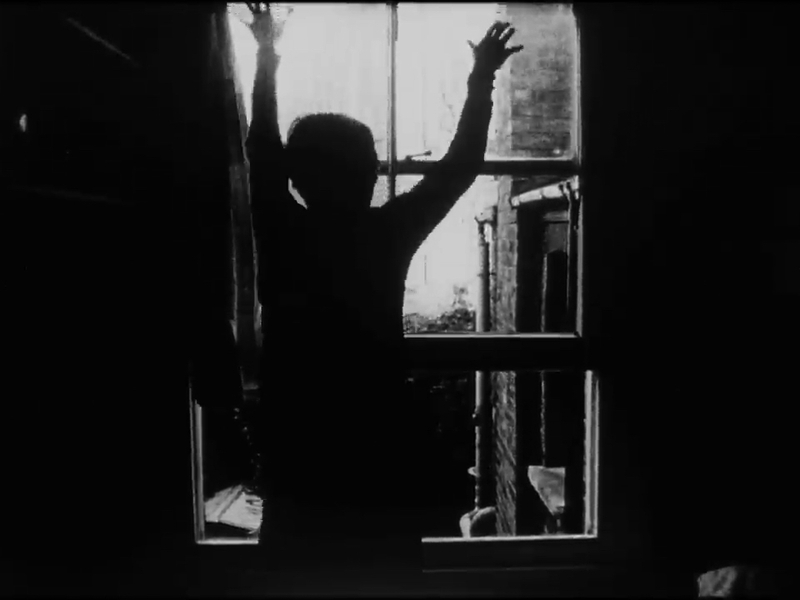 No5 Reversal ends with a filmic signature, an image of its maker framed in front of a window against a backdrop of ruins. Combining film and domestic structures, this film reaches beyond the frame, testing out access and escape, aperture and portal. Gail M. Gutierrez is a Pinay media maker born and raised in Pasadena, California. Her art practice weaves together archived materials, self-portraiture, and reenactment. She received her MFA in Film and Video from the California Institute of the Arts and her BA in Visual Arts (Media) from the University of California, San Diego. Her thesis film, Sampaguita Love, had its world premiere at the Kassel Documentary Film and Video Festival in Germany and has shown at the Los Angeles Asian Pacific Film Festival and the Diwa Filipino Film Showcase of Seattle. Falling Upward will have its world premiere here at Light Field! Chick Strand (1931-2009) was a trailblazing free spirit and West Coast filmmaking pioneer who lyrically combined elements of documentary, ethnographic and experimental techniques to create a distinctly unique body of work. Strand played a vital role in the 1960s Bay Area filmmaking community both through her work and her involvement in the cofounding of Canyon Cinema with friend Bruce Baillie in 1961. Strand also taught film for twenty-five years at Occidental College in Los Angeles, influencing a generation of filmmakers. Meanwhile, she made frequent summer trips to Mexico, where she shot many of her films over a thirty-year career. Born in Ankara, Turkey, Dinçel immigrated to the United States at the age of 17. Dinçel resides in Milwaukee, WI where she is currently building an artist run film laboratory. She obtained her MFA in filmmaking from UW-Milwaukee. Her works have been exhibited in numerous venues around the world including Tiger Shorts competition at IFFR, New York Film Festival, Edinburgh International Film Festival and Dallas Contemporary. She recently won the Marian McMahon Akimbo award at the 2017 Images Festival with Untitled (2016) and was also awarded Best Experimental Film at the 2015 Chicago Underground Film Festival with Her Silent Seaming (2014). Tina Bastajian is a film/new media artist born in Los Angeles, and formulated her cinematic proclivities during the 1980's in San Francisco. In 2005 she moved to Amsterdam to continue with her curatorial and archival research in the Master's program Preservation and Presentation of the Moving Image. Her work shapes sound and image to deconstruct narrative forms and elements of the documentary. She uses layered and stylized tableaus with (re)found images often juxtaposed with multiple languages, translation and silence to explore memory, identity, erasure, displacement and desire. Her award winning works include Yellow Aria (1988), Pinched Cheeks And Slurs In A Language That Avoids Her (1995), and Remembering Fatima: A Study On Duration (2000). Josephine Massarella is an independent filmmaker based in Hamilton. Her award winning films have screened in galleries and festivals world-wide. Josephine’s primary artistic medium is 16mm film. She has a Master of Arts in Cultural Studies from Athabasca University, a graduate certificate in Advanced Film and Television from Sheridan College, and a Bachelor of Arts degree in film at the University of British Columbia. Josephine also teaches introductory filmmaking and cinema studies. Alee Peoples (born 1981, Oklahoma City) currently lives and works in Los Angeles. She maintains a varied artistic practice that involves screen‐printing, sewing, sculpture and film. A long time ago she saw Ministry play on her 15th birthday. A not-so-long time ago she and two friends did a 14-date film tour through the South/Midwest. For some time now, she 'makes a living' by installing art at museums. 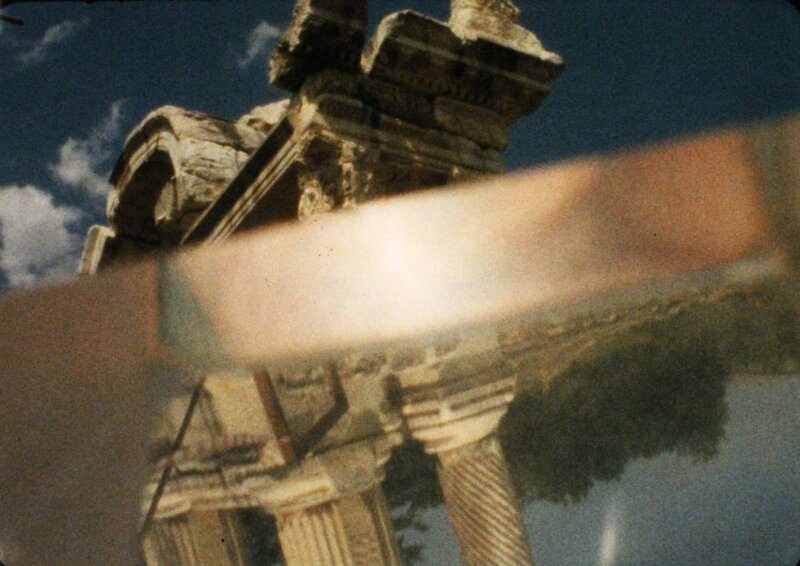 Bea Haut is an artist who works primarily with 16mm film in an expanded form. This manifests and behaves as sculpture, installations, projections and photography. Multi dimensional in media as well as often being site responsive, these works allude to perceptions of inter-related moments, spaces, and actions in between. Regarding the mutating dialogue between the self and her surroundings, the artist also uses the stuff of the everyday as material and subject of these works. Bea Haut was a member of Loophole Cinema in the 1990s, a ‘Hi-tech, Lo-tech and No- tech’ circus of Expanded Cinema. More recently co-producing Analogue Recurring - a 16mm screening event and informal space for experimenting with projected film; exposing and developing ideas surrounding their mechanical processes and visceral pleasures. She has recently been involved with starting up a 16mm B&W film processing service - Film in Process, at the University of East London.